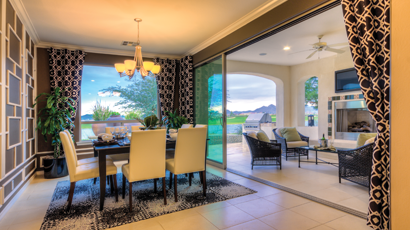 Arizona's premiere window and door replacement specialists. As experts in everything related to entry doors and replacement doors, Lasting Impressions takes great pride in assisting our customers through the entire project and will ensure that not only our customers get the doors they want and need, but they are installed correctly and efficiently as well. Everything from the initial consultation and estimate to the final phase of installation are treated with the highest level of perfection and professionalism. For more information on our selection of fiberglass doors, wood entry doors and metal doors, get in touch with a member of our knowledgeable staff today. 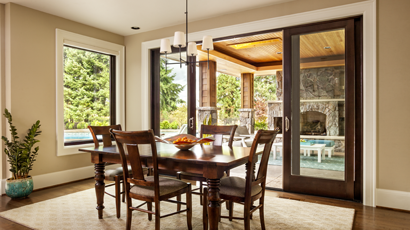 At Lasting Impressions we specialize in beautiful entry doors and replacement doors. We carry a variety of fiberglass doors and wood entry doors available in a wide variety of operating styles. We place a heavy emphasis on delivering premium products and award-winning service. Our staff strives to satisfy our customer's wants and needs and will go to great lengths to meet and exceed our customer's expectations. Additionally Lasting Impressions delivers all of this at prices our competitors can't and won't match. Over the past 20 years, we've learned what it takes to earn and keep our some 5,500+ customers' business. Our knowledgeable and service oriented staff, as well as our interactive showroom has proven to be invaluable to the homeowner, remodeling specialist, and contractor. © 2015 Lasting Impressions. All rights reserved.